Car parking is at a premium during the warmer seasons. With increased dining, shopping attractions and late night venues, residents are being significantly disturbed by residential on-street car parking. 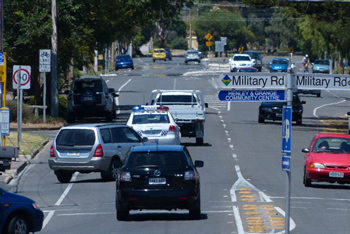 A Traffic Management Study was conducted within a square kilometre precinct to explore traffic flow and car parking opportunities that will be safer and less disruptive. The car parking problem could be greatly alleviated if Council exercised its powers to enforce the owner of the Baju and H2O development car park to meet its conditions of building consent by allowing staff to park in the basement car park and the public to park in the ground floor car park up to 2 am on Friday and Saturday nights and up to 12 midnight on Sunday nights. WACRA is annoyed that the developer has been allowed to flaunt the agreed conditions. In our opinion, it is time for the Traders Group and the community to raise their voices and reach agreement on immediate and future car parking arrangements. Just north of the Henley Jetty you will see a disgusting site that has been fenced off for safety reasons. This is the point of exit for good-quality ground water to be pumped through a storm water pipe that connects to the Baju and H2O apartments across Seaview Road. This water is being pumped out of the basement of these buildings due to a breach of the Natural Resources Management Act. 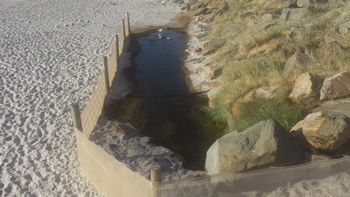 It is calculated to be pumping 80,000 litres of essential and perfectly good-quality ground water onto the beach every day. WACRA has been vigilant in demanding action be taken by the developer to stop this escape through numerous meetings with Council and State Government. It is hoped that a resolution to the problem will be found.